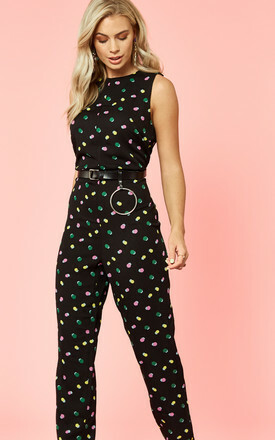 We are dotty for this jumpsuit over at Silkfred HQ! Featuring a high neck, flattering tie waist and fun multicoloured dot print - it's one of those pieces that makes you smile every time you wear it. 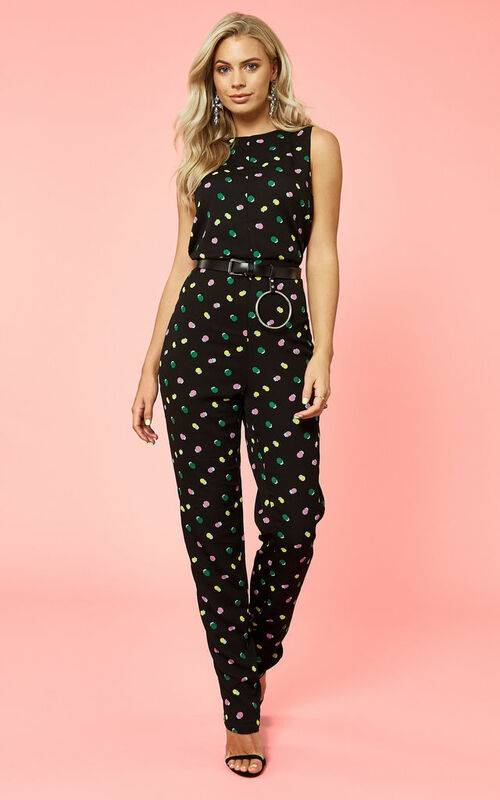 Plus it's so easy to wear, just style it up with heels and a clutch or keep it casual with flats and a cross body bag - either way you'll have a gorgeous playful outfit that is bang on trend.